I love a good vieo game trailer with some epic music. The teaser trailer for the 2 player co-op Realms of Ancient War (R.A.W.) features some pretty inspiring tunes. What's odd though is...well...the video shows a character basically walking for most of it. But what an epic walk! Things to heat up towards the end with plenty of overhead smashes, meteorite spells, and explosive goodness as the combat kicks up. 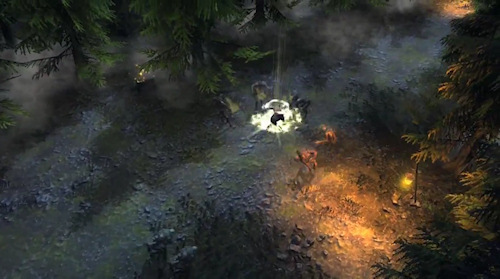 Realms of Ancient War is out on XBLA, PSN and PC this Spring with two player local co-op.